A leading shipping and logistics firm has filed a case in Bahrain’s High Civil Court against the decision of Bahrain Air to enter voluntary liquidation. Logistics and shipping firm Almoayed Wilhelmsen argues the airline should instead declare bankruptcy - meaning its books would be thrown open to scrutiny, according to a report in our sister publication, the Gulf Daily News (GDN). The plaintiff is allegedly owed BD25,000 ($65,930) by Bahrain Air, but industry insiders said other creditors could also sign up in the case - with as many as 30 different entities allegedly owed in excess of BD4 million reportedly considering the option. A hearing has now been scheduled for April 18, which is just over two months after Bahrain Air announced it was filing for voluntary liquidation on February 12. One legal expert said that if the court ruled in favour of the plaintiff and Bahrain Air was instead made to enter bankruptcy, it would mean the airline's accounts would be made public. 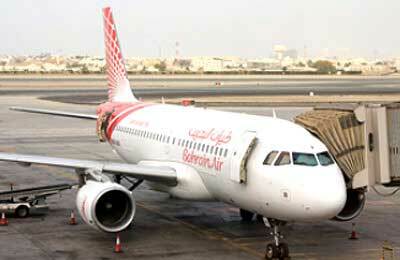 "The difference between bankruptcy procedures and liquidation procedures is the fact that the Bankruptcy Court would oblige Bahrain Air to publicly disclose its financial position, its past history, possible mismanagement and potential unauthorised payments to creditors by the liquidator," said the expert on condition of anonymity. "If any flaws are found in Bahrain Air's immediate history, the Bankruptcy Court may reverse all transactions going back as far as two years from the date of bankruptcy and assign liability to employees or even partners." Court cases have already been filed against the company for debts allegedly exceeding BD2 million. The GDN reported last month that Bahrain Air was reportedly being sued for at least BD2 million by Bahrain Airport Services (BAS), which was responsible for providing its catering, cargo, engineering and other ground handling services at Bahrain International Airport. Meanwhile, 34 former Bahrain Air staff commenced legal action against the airline to demand compensation after losing their jobs. A total of 345 people were left unemployed when the airline ceased all operations immediately after announcing liquidation initially faced delays in receiving severance packages. However, a deal negotiated between the Bahrain Air Trade Union and a liquidator appointed by the carrier saw former staff begin receiving 40 per cent of agreed compensation packages last month - with the remaining 60pc due to be paid at an unspecified date. The deal would see ex-employees get 24 days' pay for every year they had worked for the carrier, in addition to compensation for their notice period and leave, as well as indemnities for expats. Former staff had their bank accounts and credit cards frozen after the airline announced it was going into liquidation, based on fears that they might leave the country with unpaid debts. Passengers who bought 22,000 tickets that were rendered worthless when the airline cancelled its operations are also demanding compensation. The legal expert said that if Almoayed Wilhelmsen won its case, there could be ramifications for others owed money by Bahrain Air since the matter would be referred to a Bankruptcy Court. Court documents filed in the Almoayed Wilhelmsen case, which have been seen by the GDN, demand an immediate halt to the liquidation process until a verdict is reached and the commencement of bankruptcy proceedings. Demands also include the appointment of an expert to verify claims that there have been errors in procedure and allegations that Bahrain Air lacks the funds to settle with all its creditors. "First, an urgent ruling to stop procedures of liquidation until a verdict is established in this case," said demands submitted to the court. Second, bring in a legal expert to investigate the company's financial situation and the reasons, as well as dates, that payments were stopped. "Third, announce the bankruptcy of the company and implement necessary procedures that the court sees fit to protect the company's (Bahrain Air's) money." It also asks for a date to be specified for the halting of Bahrain Air's financial transactions and a judge to be assigned for bankruptcy procedures.